Are you a business or school that wants to recycle more? Start today! We can help you reach your goal, big or small, with waste audits and educational materials. Whether you’re a school or a small, corporate, or industrial business we want to help you save money by recycling! It’s time to right size your trash containers and quit paying to empty air space. We will come to your office or school to see how much waste you actually produce. Then we will use our expertise judgment to suggest an appropriate cart or dumpster size for recycling and trash. In Santa Fe County, Contact Your Private Hauler in Santa Fe County (click on link or see below). “The Santa Fe County Solid Waste Division provides convenient trash and recycling drop-off locations. Residents and businesses that generate less than 850 pounds of trash per month may utilize the solid waste convenience centers by purchasing bag tags or permits at the Treasurer’s Office, Public Works Complex, Edgewood Satellite Office, Eldorado Satellite Office, or Pojoaque Satellite Office. Click here for information on solid waste permits and bag tags. In the City of Santa Fe, contact Residential Collection or Commercial Collection by calling (505) 955-2200. “The cost of basic residential curbside service is $16.54 per month, which includes tax and is included in your City of Santa Fe monthly utility bill. “Requests for new service or changes to current service must be made on the Application for Refuse and Recycling Service (below). Download, print and complete the Application and return it to City of Santa Fe Environmental Services Division at 1142 Siler Road (map). Download and print as many recycling posters as you need for your business or school. Remember to separated glass please. Would you like to know more, just have questions or would you like a refresher for staff? 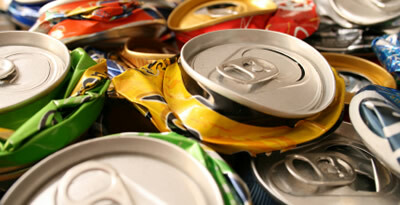 One of the keys to a successful recycling programs is a well informed staff or student body. We know how hard it is to remember everything! We can come to your business or school to present the why and how-to recycle, and address any questions. While there is would be great to observe the daily operations to identify the most efficient and effective ways for your school or business to recycle. Contact us today to set up an meeting that is convenient for you.